Today on the Prairie Legacy Family Services Blog we are discussing the oh-so-mystical and wonderful Cervix. If you have been following along through our Birth Alphabet Blog Series welcome back! If this is your first peak at the series be sure to check out A Is For Affirmations, and Breech Is The New B Word. 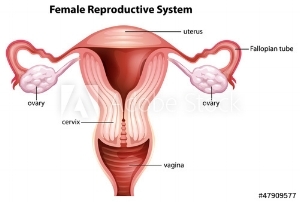 The Cervix is often described in the birth world as a flower. Birth affirmations often include flower opening imagery. Birthing people are encouraged to imagine their cervix is a flower opening as their baby descends. It’s really a wonderful image but sometimes in order to get to that point we need to understand the cervix a little better. First Lets get acquainted with where the cervix is located. The average cervix has to dilate to 10 centimeters in order for the baby to pass through. What your care provider is actually checking for is if the cervix is “complete” or in other words when the care provider can no longer feel any cervix around the baby’s head. There are 3 phases in labour: Early, Active, and Transition. In early labour the cervix dilates to 3cm, however, depending on who you speak to you may also hear 4cm. Hospitals typically don’t want to admit you until you are in the active phase of labour. Active labour is from 3cm to 7cm. Transition is from 7cm to 10cm. For a very long time we expected birthing people to follow what is called the “Friedman’s Curve.” Cervical checks are typically done when you arrive at the hospital and every 3-4 hours after. According to the Friedman’s Curve it took on average 8.6 hours for woman to reach 4cm. At this point she would be admitted to the hospital. At this point progress of about 1cm per hour was expected as Friedmans curve shows that it takes approximately 4.9 hours to reach 10cm. They also anticipated a slowing of labour at around 9cm. This curve has been often used to put women “on the clock.” Interventions would often be suggested to keep labour progressing at this expected rate. Recently, there have been new studies done that have shown this curve to be inaccurate. A new study by Zhang has created new expectations for women in labour. In this study it was found that active labour was reached about about 6cm. If you have a midwife they may describe active labour as starting at 6cm due to this study. In this study it was found that mothers took on average 1.8 hours to get from 3cm to 4cm with some mothers taking up to 8 hours! I think it’s always important to include some information that is specific to where we are. Often while working as a doula what I am hearing from care providers is that they like to see 1cm every 2 hours for first time moms and VBAC moms. They like to see 1cm per hour for mothers who have delivered vaginally before. However, it’s also important to note that there is a LOT of wiggle room here. Expectations can vary from care provider to care provider. As long as mother and baby are healthy and happy care providers are often completely comfortable with a mother labouring without intervening to speed things up. Of course, as always, it is the patients choice! You can ask questions about risks and benefits and discuss your options with your care provider to decide what is best for you and your baby in your unique circumstance. Keep in mind that dilation is not the only sign of progress in labour! Effacement and babies station are also important factors. Effacement is the thinning out of the cervix. The cervix dilates much easier once it is fully effaced. Station is your baby moving down. As your baby moves down they put more pressure on the cervix which helps increase dilation. Every labour is different and progresses at a different rate and there are so many variations of normal!